Globally, sugar output is expected to exceed consumption by 6.5 million tonnes for the production year 2017/18, after two years of production trailing consumption. Production in Thailand is currently up by 22% for the year and is set for a record harvest, above last year’s 10.2 mln tonnes. India, the world’s largest sugar consumer and the world’s second largest producer, currently has enough sugar piled up in warehouses to make three chocolate cakes for every single person on earth! Thus, 2018 will see India become a net exporter after being a net importer last year, releasing an estimated 1.5 million tonnes onto the global market. Indian Sugar Mills Association (ISMA), has revised the country’s 2017/18 sugar production upward by about 13% at 29.5 million tonnes from its second advance estimate of 26.1 mln tonnes early this year. Abinash Verma, director general of the Indian Sugar Mills Association has indicated that the current planting trend shows that sugar production in 2018/19 may be even higher than this season. The bumper crops are not only seen in India and Thailand, but are mirrored in Pakistan, EU, China and the Commonwealth of Independent States, all of which are now recording record production and exports to the global market. Production in the European Union is expected to rise from 16.9million tons to a record 20.1 mln tonnes on higher area and yields. Exports are forecast to rise a whopping 60% to 2.5 mln tonnes on greater exportable supplies. Due to acreage expansion, production in China is currently expected to improve to 11.5 mln tonnes in 2017/18, up from 10.1 mln tonnes in 2016/17. 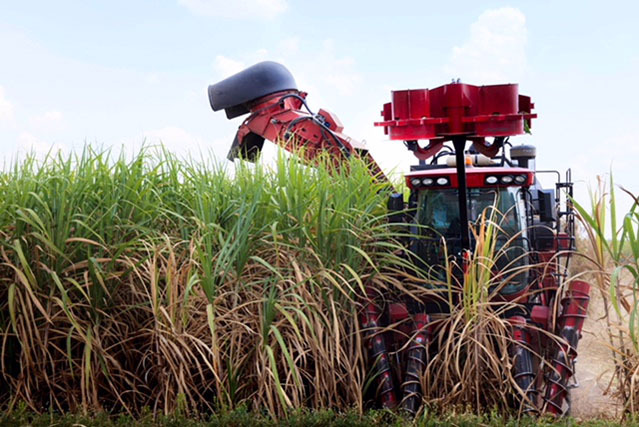 However, Brazil, the world’s largest sugar producer is opting to produce more ethanol than sugar. The increased sugar production in the 2017/18 sugar season is due to increased acreage, better rains in growing areas and new stronger varieties being cultivated. History suggests sugar was first produced in Polynesia and later India, around 500 BC. It is primarily derived from sugarcane, which on average, accounts for about 80% of global sugar production, but other sugar sources include sugar beets, the date palm, sorghum, and the sugar maple. Here at Ragus we have a long heritage in sugar and continuously follow and report on the global sugar industry. We are always ready, willing and available to discuss any questions, issues or problems regarding your pure sugar needs. We supply pure sugars for ingredients for the bakery, confectionery, pharmaceutical and brewery industries. Please contact sales@ragus.co.uk or visit www.ragus.co.uk for more information.